At times during our hikes in the Ecrins we felt more like we were deep in the Himalayan foothills than in the south of France. The sheer, bare, dark rocks of the valley sides tower upwards to the snow dusted peaks. Upon reaching one of the remote, precarious mountain huts the far reaching panoramas seem to distort the true scale, making it appear even bigger and more majestic. Compared to the scenery we enjoyed in other parts of the French Alps, nothing else came close for us. Only the high mountains of Switzerland made us feel the same sense of wonder and wilderness. Unlike some other alpine regions in both Switzerland and France the only way to get in to the heart of the Ecrins is on foot. With just a handful of narrow roads extending into the edges of the park, we felt a huge sense of achievement each time we reached one of the landmark huts or glacial flows. 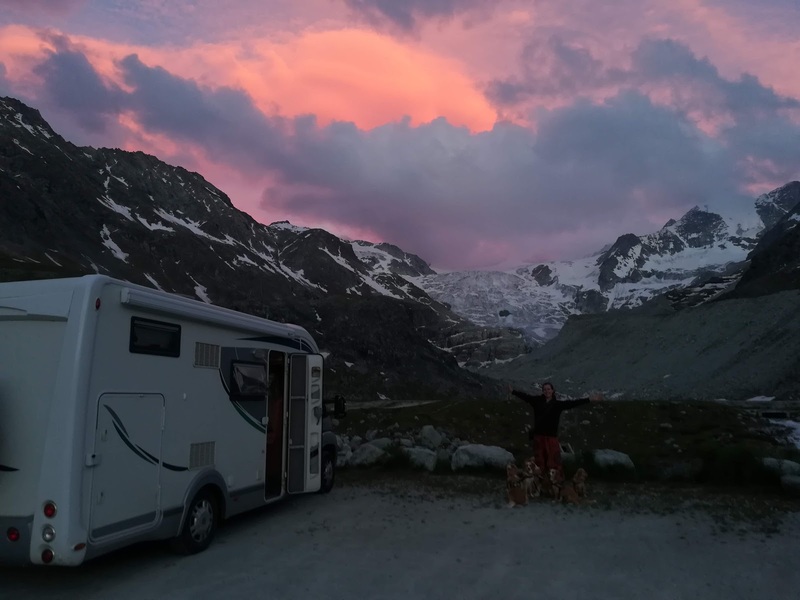 Other online tourist guides and visitor statistics seem to confirm that, compared to some of the more well known alpine parks, the Ecrins is indeed less visited. However, I think these numbers only tell part of the story since every area is unique in size and terrain. The only real measure of peace and tranquility, for me, is the feelings experienced on the trail. Apart from one section of trail between Pres Madame Care and the Refuge Glacier Blanc (which we hiked on a French national holiday) the rest of our hikes in the Ecrins were blissfully peaceful. Especially when we got an early start to watch the sun rise flow into the valleys. Alongside the high, jagged peaks the Ecrins national park also boasts some of Europe's southernmost glaciers. The Glacier Blanc is especially beautiful, but all of the permanent ice flows in the Ecrins evoke that same sense of excitement and exhilaration normally found in the high Alps of Switzerland. The Ecrins national park is one of 73 areas to be awarded a European Diploma for Protected Areas. This is a prestigious international award granted to "natural and semi-natural areas and landscapes of exceptional European importance for the preservation of biological, geological and landscape diversity and managed in an exemplary way." The remote valleys lend themselves perfectly to peaceful appreciation of the fantastic wildlife on offer, especially marmots which can be spotted in abundance. Although you should never hike without a suitable map, you don't have to be a navigation Jedi to enjoy the Ecrins either. The system of way marked trails is both extensive and well signposted allowing hikers of differing experience levels to appreciate the beauty. Whether you're looking for a gentle valley stroll, challenging hike into the hills, a more serious climbing challenge or a multi-day hiking tour, the Ecrins has something to offer. The Park also offers an extensive mountain hut network servicing day walkers, multi-day hikers tackling the tour of the park (GR54) and alpine climbers. For example, most the day walks we did passed two different huts. One lower in the valley offering refreshments, rest and a good view of the surrounding peaks, with another more remote hut situated higher and further up the valley at the end of a more challenging hike. These higher huts acted as perfect bases for climbing expeditions. With all of this amazing alpine beauty on offer, coupled with remote isolation the only real disadvantage of the Ecrins is that of difficult access. Reaching the start of some of the most spectacular trails, like those from La Berarde, can involve lengthy, challenging drives and a very early start, especially since mountain weather tends to be better in the mornings (although make sure to always check the forecast for the particular valley before setting off). We found it ideal in our motorhome to reach a good start point and base ourselves there for a few days, but day hikers will have to tackle the access roads.